Manic Street Preachers release Resistance Is Futile their first new album in four years, on on the 6th of April 2018. 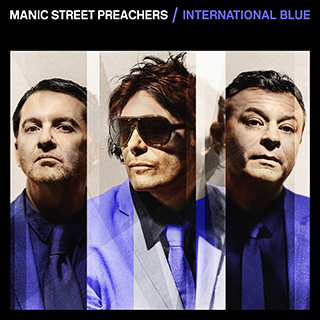 Today they’ve revealed the video for the lead single ‘International Blue’ watch it below. The band will also be touring in April/May 2018 for full dates look below. The film was made at various locations in Nice at the end of last year with long time collaborator Kieran Evans, the band described the track as being “Inspired by the city of Nice in the mid winter sun and the life’s work of French artist Yves Klein”. Kieran described it as the start of “another exciting visual collaboration” with the band. “We hit on the idea of creating a mood and atmosphere we termed ‘widescreen melancholia’ which will run through all the films we make for the album”.